Rinse FM and The Pickle Factory join forces this June, to present a weekly series of four Thursday night parties that celebrate the many faces of Rinse’s programming. 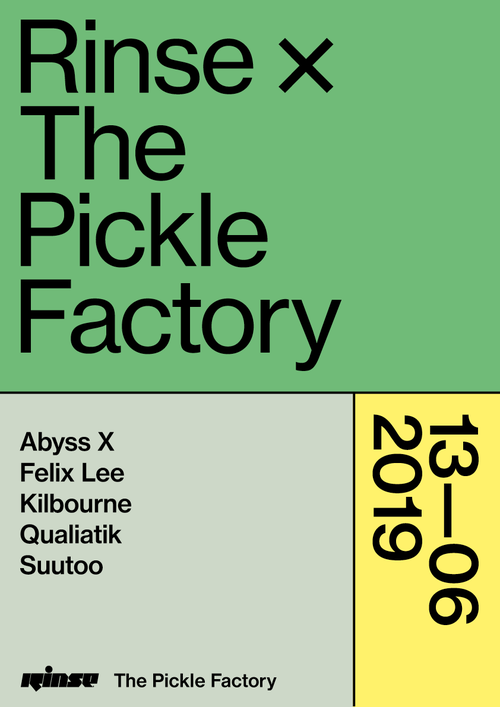 Admission to The Pickle Factory is at management's sole discretion, pre-purchased tickets do not guarantee entry. If entry is refused to a ticket holder you can obtain a full refund (minus booking fee) by contacting us after the event.